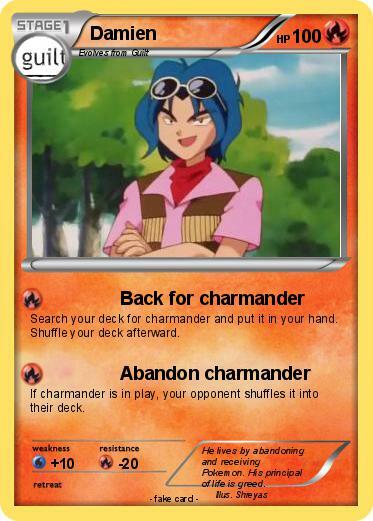 Search your deck for charmander and put it in your hand. Shuffle your deck afterward. If charmander is in play, your opponent shuffles it into their deck. Comments : He lives by abandoning and receiving Pokemon. His principal of life is greed.